Warm-season grass - light to medium green color, course leaf texture, creeping growth habit via stolons - robust, fast growing, establishes rapidly - level of maintenance is low to moderate. 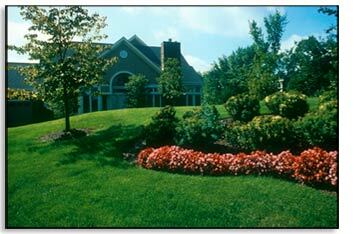 Well adapted to coastal regions with hot, tropical climates - used in residential, commercial, and industrial landscapes. Thrives in heat, adjusting well to temperatures up to 105%F - goes dormant and turns a tan color during winter when temperatures drop below 55%. Very poor low temperature hardiness. Excellent to fair - wide range in drought avoidance among varieties. Can go into summer dormancy when irrigation is withheld: upon return of moisture it will green up again. Moderate- rapid, resilient and stoloniferous growth habit.